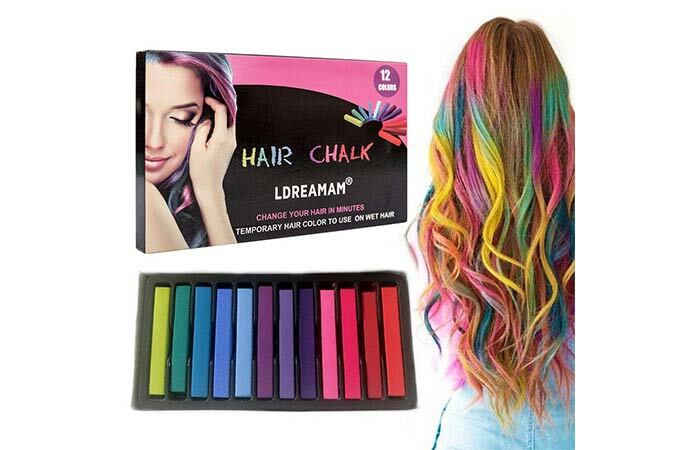 If you cannot stick to the same hair color for more than two weeks, here’s your future favorite product – hair chalk. 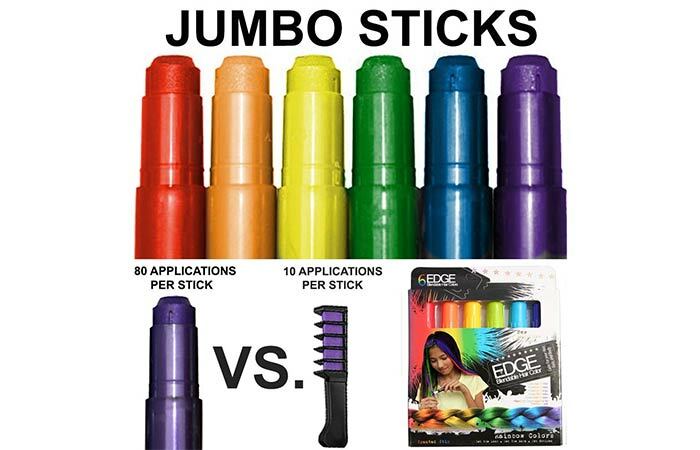 These colorful sticks are meant to beautify your hair without damaging them. Tempted to try out some bold colors? Lucky for you, these hair chalks come in a wide range of colors that can give you the chance to bring out your inner unicorn. Here, we have 10 best hair chalk products that are trending right now. Take a look! 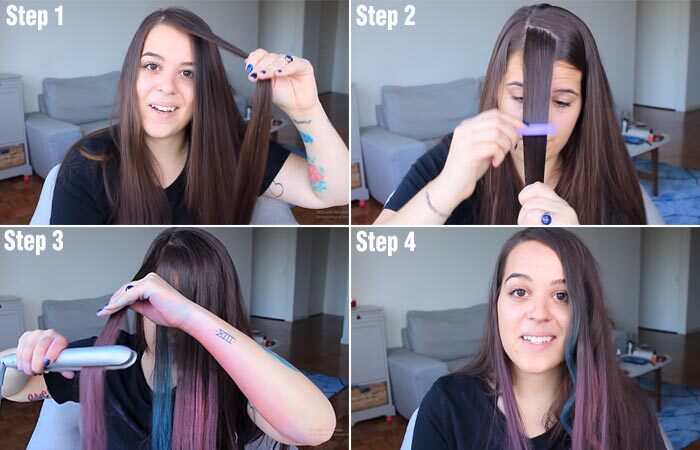 But, before we move on to the products, let’s understand how to use hair chalks. Shampoo and dry your hair before brushing the locks thoroughly. Wear gloves to avoid staining. Wet your hair a little for maximum deposition. Choose your favorite chalk pastel that is free of toxic ingredients like lead and cadmium. Wet your hair to intensify the chalk’s pigment. If you have blonde hair, you can skip this step as your hair color is already lighter. Take a chunk of hair and use your thumb to glide the chalk along the length of your hair. Ensure to reach out to each hair strand, especially on the inner corners. Remember to rub the chalk downward to avoid friction or patchiness. Rubbing the chalk to and fro can lead to hair damage. Another step you can include is to twist your hair as you color. This will help you coat your hair evenly. Brush your hair thoroughly to spread the product evenly. This will blend the color perfectly. Use hairspray and a straightener (or curling iron) to seal the color and finish the look. Do not color your hair with a serum or any other product in your hair. Use protective clothing and sleep on an old pillowcase to avoid color staining. Do not try this method on rainy days. 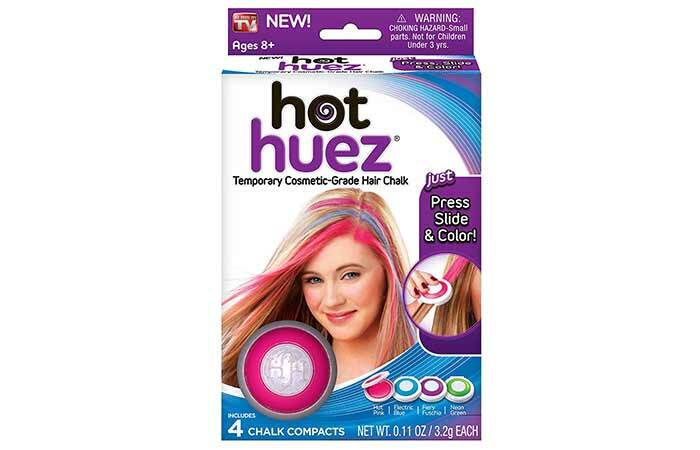 Let’s now take a look at the top 10 temporary hair chalks. Want to color your hair for a theme party quickly? Here’s the perfect product for you. Alex Spa offers seven bright colors and fice metallic glitters. Its creamy formula makes it easy for application without drying or damaging your tresses. 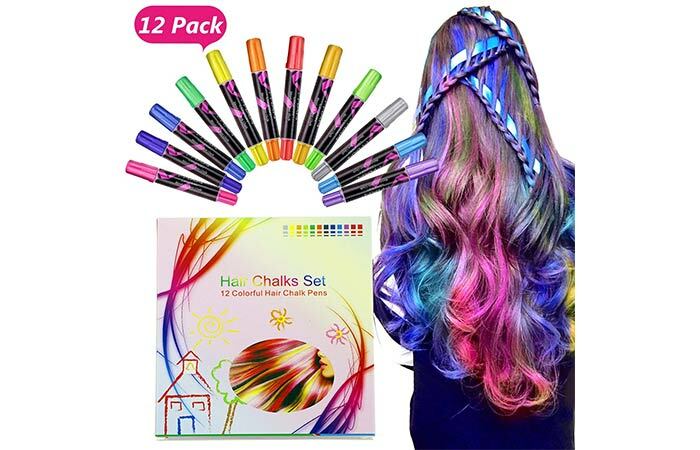 You can add temporary streaks and create unique hairstyles with these washable chalk pens. The kit includes 12 shades, beading tool, 30 elastics, and a comb. Hair turns stiff when washed. If you are looking for a specific shade with high pigmentation, Splat’s the best option you can lay your hands on! It imparts a soft color that is easy to blend, brush, curl, or style. The best part is, it can be easily washed out with shampoo. It comes in 10 beautiful shades, with which you can play around by highlighting or adding an ombre look. It glides effortlessly even on the driest parts of your hair and adds just the right amount of color that lasts for a day or two. The kit includes a compact of splat hair chalk and an applicator sponge. Color transfers resulting in staining. These rainbow-themed hair chalks are vibrant and ideal for parties and beach getaways. Mix them all or use them individually to get beautiful layers of hair color. They are non-toxic, non-allergenic, and non-damaging. These water-soluble hair chalks last up to three days and are convenient to wash out with a shampoo. They are easily blendable and can be used to create a perfect ombre effect. Hard to wash out on blonde hair. Ditch expensive hair colors and try these temporary metallic colors for gorgeously layered hair. 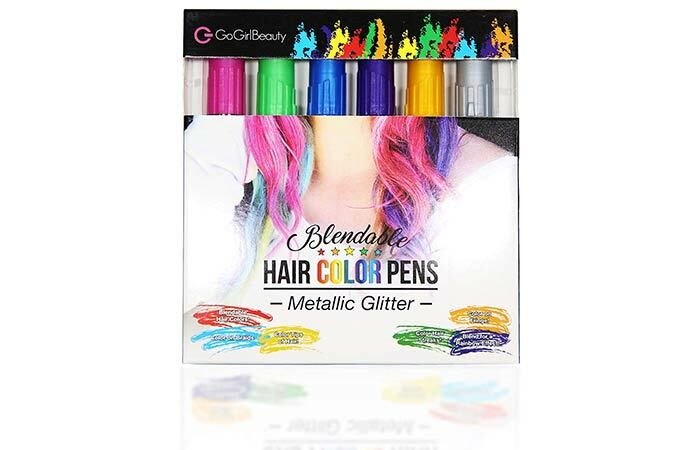 It comes with six edgy metallic glitter hair chalks that last up to three days. The new chalk cream technology allows for sealing the color in just 60 seconds. Add temporary strips of color and create a fashion statement using the special hair accessories. You do not require a hairspray as the color sets in quickly with zero mess. These unique hair color combs come in six bright colors. The applicator makes it really easy to color each hair strand from root to tip. It helps in even application of color without any patchiness. 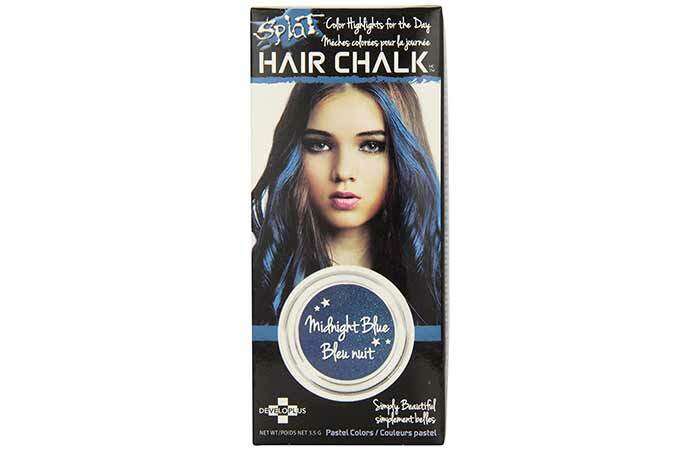 These hair chalks work well on light brown and blonde hair. If you wish to use them on dark hair, you need to sprinkle some water before brushing. Also, these colors are non-toxic and non-allergenic. The chalk is a little sticky. Looking to add some exciting colors to your hair? 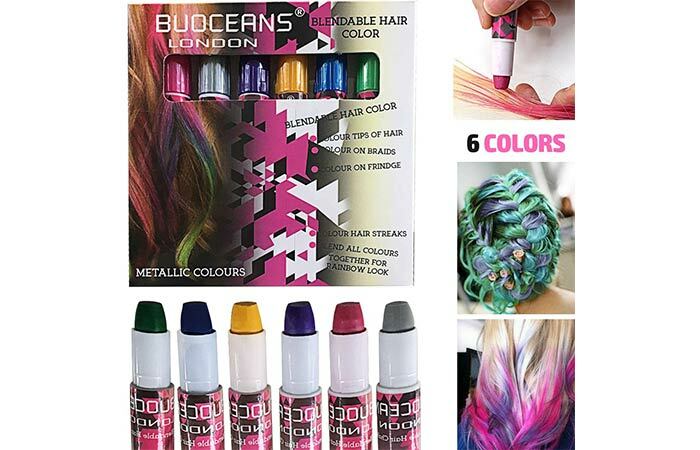 Here’s a product that can spice up dull and boring hair with beautiful and vibrant colors like hot pink, electric blue, fiery fuchsia, and neon green. With short-term commitment and zero messiness, this hair color can be a good bet for a party or a cosplay. 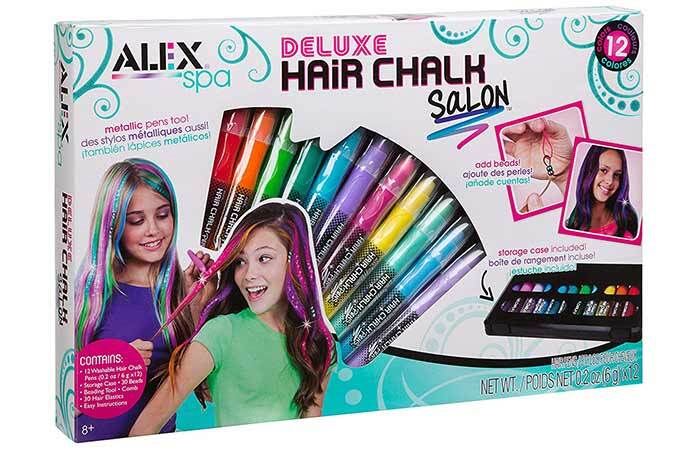 These hair chalks are specially designed to slide along even the driest parts of your hair easily. These temporary coloring chalks are super blendable and last up to three days. They glide smoothly on hair and deposit color within seconds. The cream formula makes it easy for application without getting the color all over your hands. It comes in six shimmery metallic shades that can brighten dull and boring hair instantly. You can blend one color into another and create as many shades as you wish. Each stick is guaranteed to work until 80 applications. Certain shades are difficult to wash out. These scented rainbow colors can make your hair look amazing and smell amazing. It includes six blendable colors that can be great for braids, streaks, loose beachy waves, etc. These vibrant shades last up to three days without fading. They glide smoothly on your locks and deposit quickly. They work well on brunette and blonde hair. With every stroke, you can apply plenty of colors evenly. Hair feels a bit stiff. 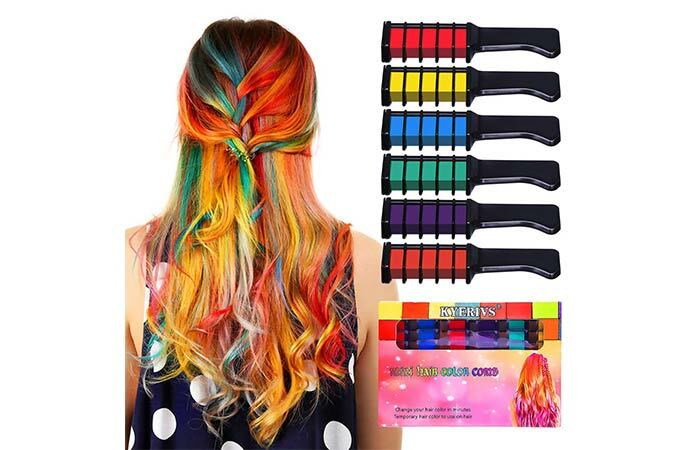 This pack has 12 vivid colors that make your hair look vibrant and gorgeous. It contains RoHS approved ingredients that are non-toxic and non-allergenic. All the colors combined can create a perfectly blended look. Also, these colors can work on hair of any color, be it dark or blonde. They are easy to remove and don’t leave any patchiness. These hair chalks deposit quickly and can change colors in seconds. 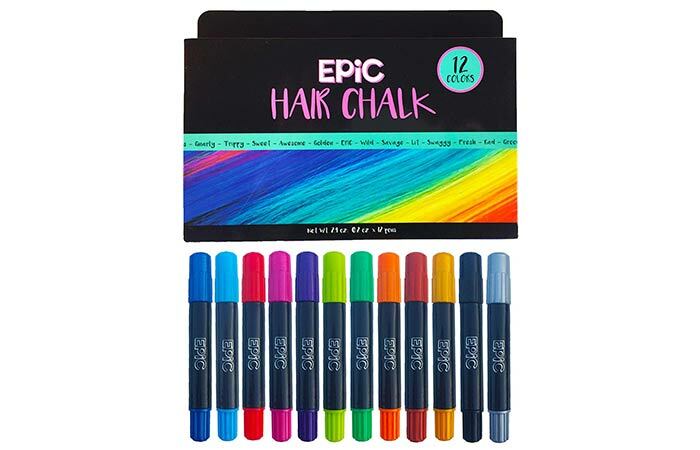 As the name suggests, this hair chalk can add some epic pigmented colors to your hair. It includes 12 temporary shades that suit almost all hair colors. It has the consistency of a crayon, which makes it less messy during the dyeing process. If you want full coverage, damp your hair before applying and set the color with a dryer. These are long-lasting and stay vibrant until even the third day. Can stiffen your hair while washing out. These are our best picks of top-rated hair chalks available on the market right now. Try them out and let us know how it went in the comments section below. Hair root touch up products do a pretty decent job of concealing your grown out roots and save your money and time. Check out this list of the best hair root touch up products.